Blend strawberries, water, sugar and lime juice until completely smooth. 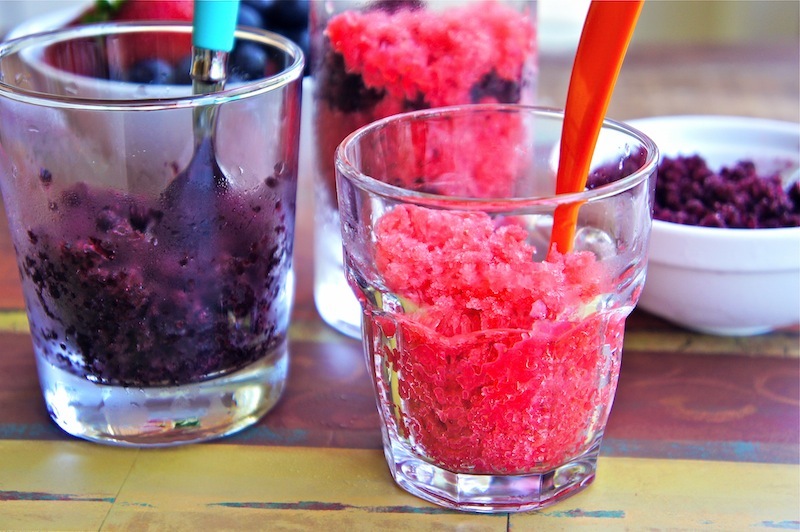 To freeze granita, pour the mixture into the dish and place in the freezer. Begin checking it after about 1 hour. Once it begins to freeze around the edges, take a fork and stir the mixture, breaking up the frozen parts near the edges into smaller chunks and raking them toward the center. Return the dish to the freezer, and then check the mixture every 30 minutes afterward, stirring each time and breaking up any large chunks into small pieces with a fork, until you have beautiful, fine crystals of homemade granita. 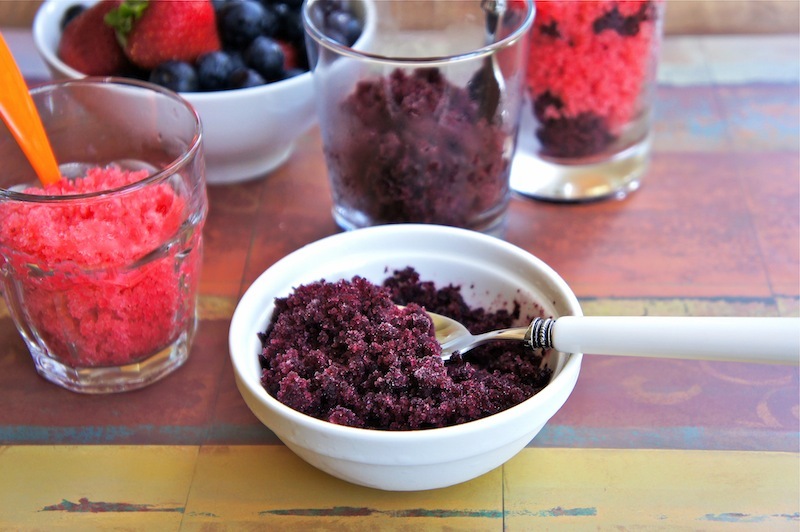 If any time the granita freezes too hard, simply leave it out at room temperature for a few minutes until it softens enough to be stirred again with a fork, and rake it back into crystals. Then return it to the freezer. They look absolutely perfect for this summer weather!